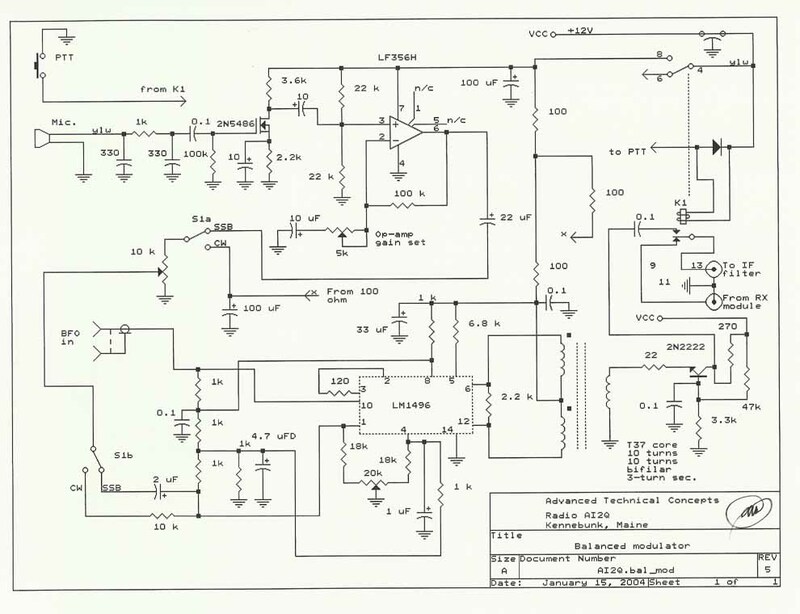 Here's the schematic for the KISS transceiver's SSB generator. It reflects updated speech-amplifier and LM1496-based balanced modulator circuitry, along with filter relay and DC offset switching. The DC offset pot serves two purposes. In the "SSB" position it works as a microphone gain control. In the "CW" position it unbalances the LM1496 chip for CW/tuning purposes. Switch S1a/b selects the function of the pot. Click here to continue to additional balanced-modulator circuit and construction details.